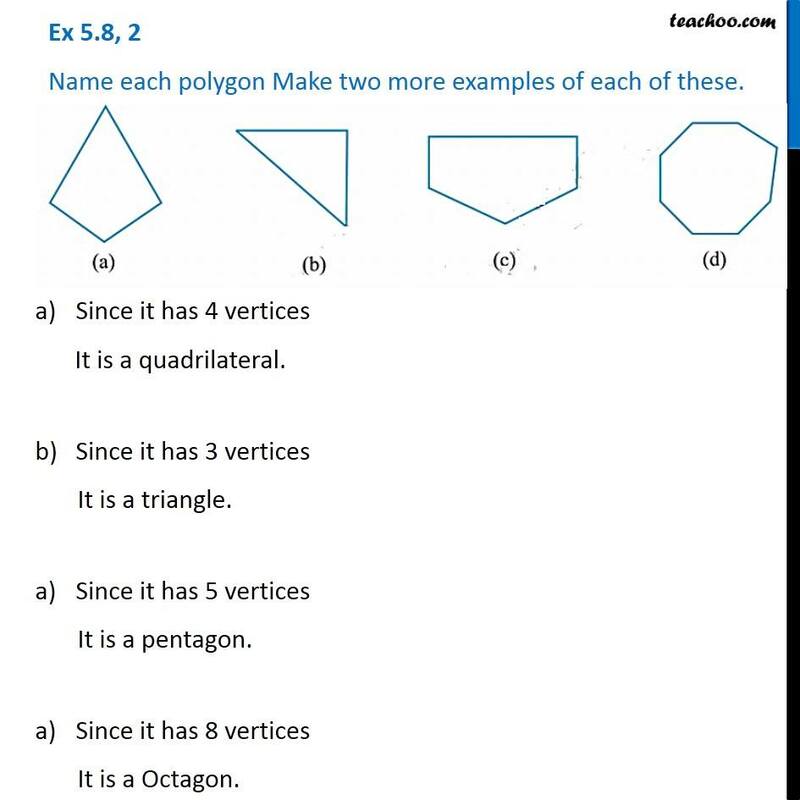 Ex 5.8, 2 Name each polygon Make two more examples of each of these. Since it has 4 vertices It is a quadrilateral. Since it has 3 vertices It is a triangle. Since it has 5 vertices It is a pentagon. Since it has 8 vertices It is a Octagon.